You are not your divorce. It may have been something that occurred and something that still may have an effect on your life through alimony, child support, or child custody arrangements, but it does not define you. In thinking that your divorce defines you, you are expressing disloyalty to all of the qualities that actually define you. You are setting aside the emotional complexity of the human experience, in favor of one event that ended an unhappy and dysfunctional relationship. You may rely on the aid of your family law attorney as you navigate the post-divorce waters in an effort to find relief in the form of alimony modification, child support modification, or parenting plan modification, but the necessity of readdressing aspects of your divorce does not mean that you are obligated to allow aspects of your divorce to define and affect your future indefinitely. Establishing your life after you go through the divorce process is not an exact science, and there is no set timetable to when things need to happen. You do not have to find emotional closure on anyone else’s timetable but your own, and no one should think that just because they have yet to find that emotional closure, that they never will. There is a difference between finalizing a divorce and finding closure. The healing process can take time and may require the help of a licensed mental health professional, trained to aid in the difficult experience of recovering from a divorce. Whether you find it difficult letting go of the emotional attachment to your ex-spouse or you are having a hard time living in a household without your children, a licensed mental health professional is trained to offer the guidance necessary to get you to a more mentally and emotionally healthy place. You may have a difficult time thinking about the financial side of this situation. Divorce can be expensive, and after the division of assets is finalized, you may have significantly less than you previously did. However, it is important to remember that your spending habits dictate how much income goes out of your newly single household. Changing those spending habits and changing the way you think about saving money could help you recover from the divorce process much more quickly. This is especially important if finances and spending habits were major contention points in the end of your previous marriage. Changing the way you spend money and changing the way you think about saving money can lead to healthier relationships, where your spending and saving habits are not knocks on your character. It also displays your abilities of doing so. Many who struggle with spending and saving and lose their marriages do not believe in their ability to change how they use money. By making adjustments to the way you spend and save income, you can remove the self-doubt and concentrate on bettering yourself moving forward. Making these types of changes reflects your ability to self-examine. You gain the ability of looking in the mirror and seeing where you may be able to improve. You also gain the ability to appreciate your good qualities even more. Although your ex-spouse may no longer appreciate the way you can make others laugh or your ability to remember people’s birthdays, you can appreciate that for yourself. It may be hard after the divorce experience, but loving and appreciating positive aspects of yourself is a healthy way of staying on a path to a better future. The challenge of it is getting past hearing all of the negative things said during the process, but if you can focus on the positivity of the present and the promise of a new future, you have a better shot at practicing self-love. The more you learn to love the best parts of yourself, the further you will feel from the unhappiness of your previous marriage and challenges of the divorce process. Putting that emotional distance between you and that arduous time in your life is essential in moving on and finding someone new. When you do meet someone new, you have a new opportunity to make a first impression. You get to decide how you want to come off. If they like you enough, you get to decide how you come off during the first date. None of these elements have to be about your past divorce. You do not have to bring it up, unless your date asks about it or about past relationships. Being honest does not entail dwelling on what went wrong in a previous union. It is acknowledging that it occurred and that it is over, firmly stating that you are ready to move on. This also is something that you get to do: move on. You do not have to dwell on what did not work or what your ex-spouse is doing now. You get to be the best you that you can be, and whether that is with someone new or by yourself, you are free to explore a healthier, better version of your life. You should be excited by this prospect. The newness of your situation allows for so many possibilities, but it is up to you to take the steps necessary to be in a better mental, emotional, and financial place. That way, you have a better chance of having the best post-divorce future possible moving forward. 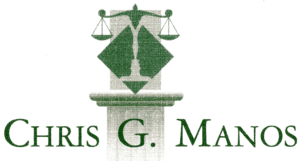 The post You Are Not Your Divorce appeared first on Men's Divorce.